Ask yourself "How can I get rid of gambling? How to stop it forever? It's like a drug, it's so tempting. You've already passed some treatment and some special programs; your friends and family were providing you the maximum help. Butâ€¦How not to relapse, how to erase it from mind and brains forever? It is said, that even if a person has listened to all gamblers' confession, and has already made his own, it still cannot be cured till the very end. Getting back on the gambling track is really evident. A cured addict will have the promising future for sure but as soon as he\she becomes sincere about getting rid of it. You have to analyze all indebtedness that you've made during gambling addiction. During problem or compulsive gambling you have gotten into debts for sure, so now you're facing the period of wages of such sin. Make a list of all your debts, including borrowings, overdue payments, credit cards and cash balances. Now put it aside and make another step to complete recovery. Blunting of addiction depression etc. Convince others not to lend you money under any pretexts etc. Get to know how to deal with horrible cravings. You have to sort out at what moments you are seduced to gamble; try to substitute all the casino images in your mind for another views. Try to play out the scenario of your gambling situation: imagine your spouse's face, think about loss bets just all the negative consequences. You have 20 minutes of such seducing situation due to the scientific researches. 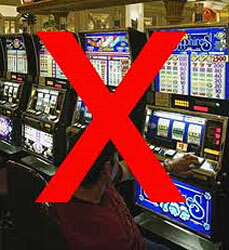 You have not to think about gambling only at this period. You'll need lots of time; don't get frustrated if it doesn't work out. You'll manage to stop gambling forever, but you have to be very sincere to all what you're doing and thinking, and therefore you'll be free forever!